Absolutely! Aromatherapy uses natural oils from plants to enhance your mood, help you sleep, and fight the symptoms of a common cold. All without using chemicals and prescription drugs. When did it start? Aromatherapy and the use of natural remedies have been around since 3,500 BC and used to cure many illnesses and injuries. They believed that these oils worked with magic to heal and bring good fortune. Essential oils have been used in many ways to enhance the body’s health. Using the oils in massages, adding a few drops to your evening bath, or burning them over a candle, the uses are endless. So what can they improve? The five main oils that most people have heard of are Lavender, Peppermint, Rosemary, Tea Tree and Eucalyptus; All harnessing their own unique power. Lavender is a natural sleep aid that calms the mind and body, drifting you into a more natural sleep. 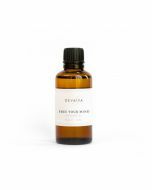 The Dream Away Oil will help you to unwind and relax the body aiding a peaceful night’s sleep. Peppermint is an instant pick-me-up without the need to reach for caffeine; peppermint is also great for aiding digestion. Try Free Your Mind, combing Eucalyptus and Peppermint to clear your head and refresh your mind. Rosemary provides stimulation for the mind, aids memory, and enlivens the brain. Give your lock a little TLC with Love Thy Hair Oil, it’s infused with rosemary; peppermint, clary sage and vitamin E to give your hair shine and stimulate your mind. Tea Tree helps problematic skin and common skin conditions whilst refreshing mind and body. So there’s something for everyone! Eucalyptus has an exceptional soothing effect for achy muscles or a sore throat. Aches Away Oil is a warming oil that contains powerful plant oils that will help aid both comfort and relaxation of the body. All these are safe enough to apply directly to the body, or maybe add few drops to a relaxing bath or dilute in an oil burner to fill your home with truly beneficial scents. AO Home has oil blends to provide a boost in mind and body health. Find our full range of aromatherapy oils here.